The 12″ offers two additional reworkings of The Sad Song. The first one, courtesy of German producer Roland Appel, whose recent release as Dark Soldier has gathered a fair amount of attention, is a slick and graceful exercise which uses Viola’s vocals as the basis for a rather splendid deep house piece. The driving beat and additional keyboard brushes only serve to unleash the most outgoing nature of Viola’s original and turns it into a superb dance floor filler. In contrast, the Norwegian Prins Thomas creates a brooding piece of electro which never veers much from its original path, yet manages to remain captivating all the way through. Thomas’s mid-tempo approach sticks to Viola’s original and allows Thomas to create a superb atmospheric version of the song. 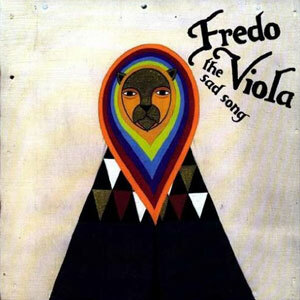 Fredo Viola’s three tracks all showcase a very different side to his musical persona, but somehow, they all have a strong bond and have a definite personality, which has been captured in various ways by the three remixers, all adding to Viola’s sonic universe without disturbing it greatly. If this EP is anything to go by, Fredo Viola’s debut album, due out later in the spring, could prove a stunning offering.